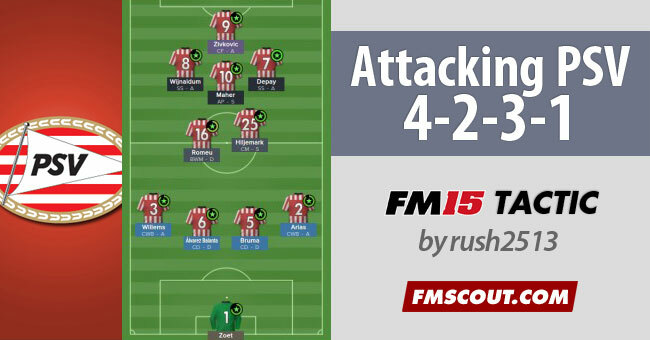 I created this tactic to get the best out of Depay, Wijnaldum and Maher. 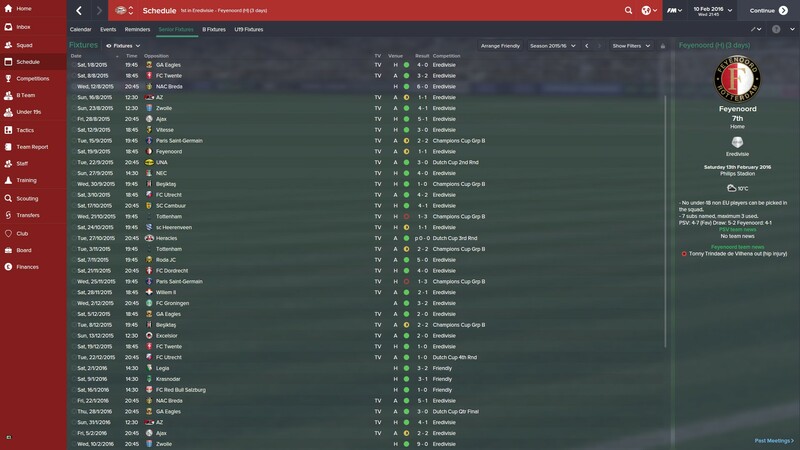 Depay had to be retrained to play central but he was already competent so didn't take long. 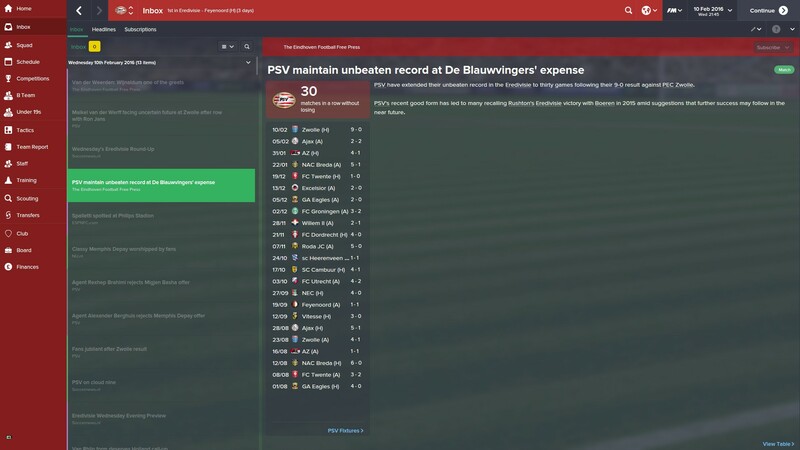 I took charge of PSV 10 games into the league season and they were some way adrift in 14th place. We quickly hit our stride and finished as champions. 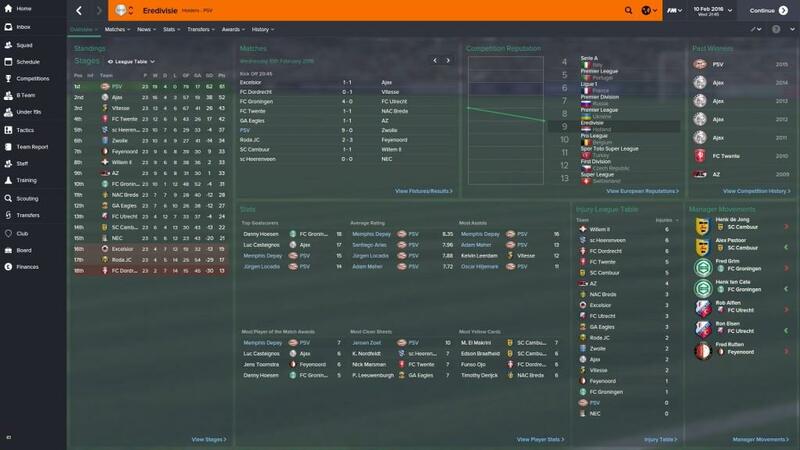 In my second season we went unbeaten in the league and won the dutch cup. Couldn't make an impression in Europe yet though. sono 10 anni che gioco a FM e questa è la migliore tattica con cui abbia mai giocato. 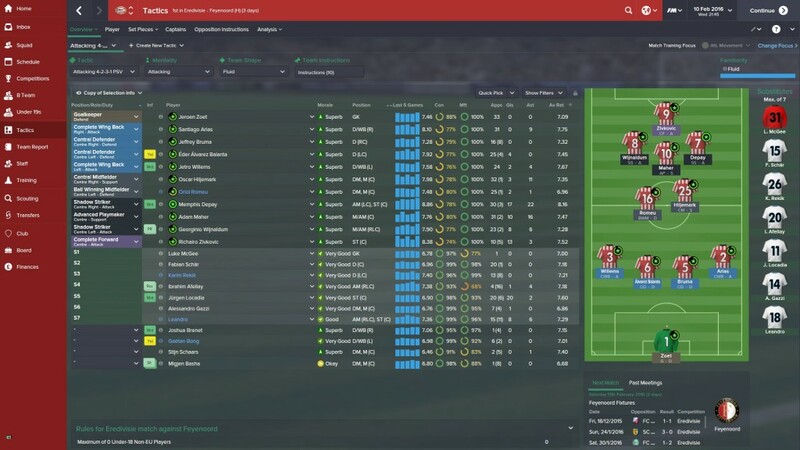 Ti prego: creala UGUALE per FM2016!!! Ti ringrazio!!!! !